Emily our VW Splitscreen Camper was built in 1971, and has recently undergone a full restoration both externally and internally. If you are looking for a wedding car that offers fun, style and something a little different, then you have found it. Arrive in style in our fabulous retro 1971 VW split screen campervan. 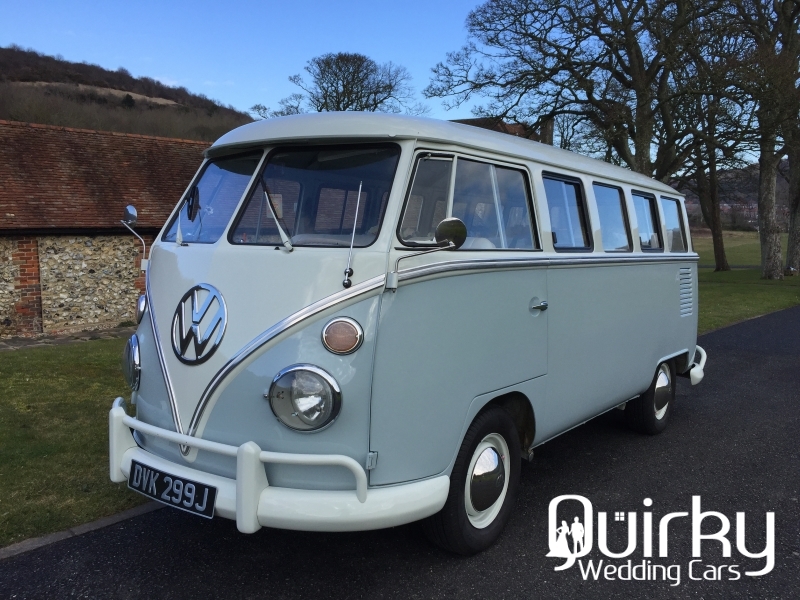 If your looking for a unique head turning wedding bus which everyone will be talking about and remember for a lifetime then book her today for your VW Splitscreen Camper Wedding Car in Kent. Emily is a VW style icon, she makes a fabulous alternative to an ordinary wedding car. Quirky Wedding Cars is unlike no other wedding car hire company we are dedicated to making your day unforgettable. We pride ourselves on offering a special and unique service. This Wedding car is available for Weddings in Kent.